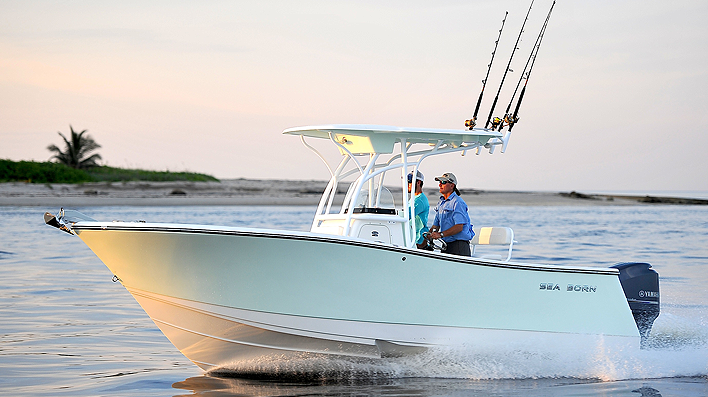 This 2017 Sea Born SX 239 Offshore is powered by a single Yamaha 300 Hp XCA Four-Stroke Outboard. 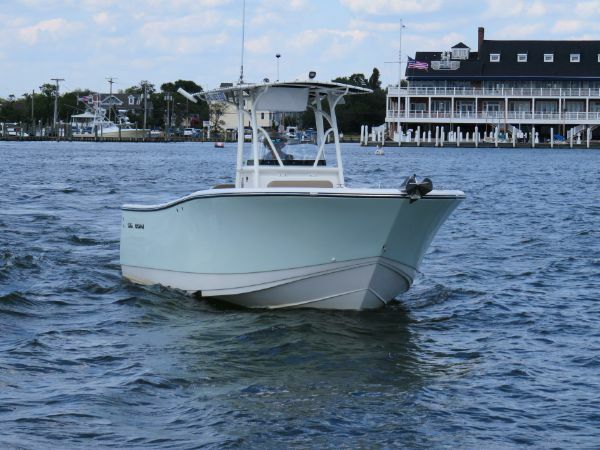 Options include: LE Package which includes all standard features, Hard Top with Wired Electronics Box, LED Spreader Lights, 2-Tone Hull Color, Color Matched Console Face, Color-Matched Hard Top Underside, Underwater Lights and Fresh Water Washdown. Also included is: Sea Foam Green Console Color Matched to the Hull, Cushions in Sandstone/White pleat, Stainless Steel Anchor and Chain with 150’ Rode, Lewmar Anchor Winch, Porta-Potti with Pump Out Fitting, Powder Coat Hard-Top Frame, Powder Coat Leaning Post, Electronics include: Simrad NSS12 EVO2, with B75 CHIRP thru-hull transducer, Simrad VHF Radio with Antenna and Stainless Steel Mount. 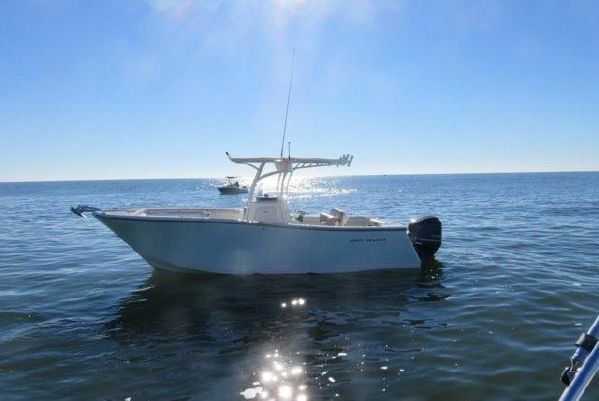 Freight, bottom paint and commissioning included.